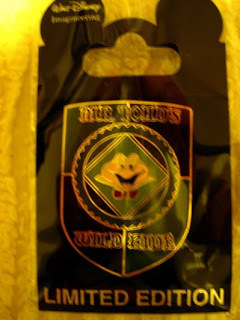 This is a pin made for Walt Disney Imagineering, commemorating the attraction "Mr. Toad's Wild Ride" at Disneyland. This is a very nice pin. I bought it recently at an NFFC convention, where Walt Disney Imagineering was on hand to offer cool items for sale to the public. I will sell this pin for $25 if anyone wants it.